I'm starting this week with a look at my first outfit of London Fashion Week! Fashion week is a great time to experiment with your outfits but this season I wanted to stay true to my personal style wearing an outfit I know I love. Instead, I'm starting this week with a look at my first outfit of London Fashion Week! I wanted to stay true to my style so I picked out some of my favourite pieces to wear; I decided to go for a camel/neutral colour palette, adding lots of different items that I felt were similar but different. My main focus was on this teddy bear coat from Missguided which I only bought a few weeks ago, for most people, that would be too late to buy into a winter trend but as soon as I laid eyes on this jacket I couldn't resist adding it to my basket (and subsequently buying it). There was a 30% off code floating about when I bought it which brought it down to £28 from £40 both of which are really reasonable for a teddy bear coat! 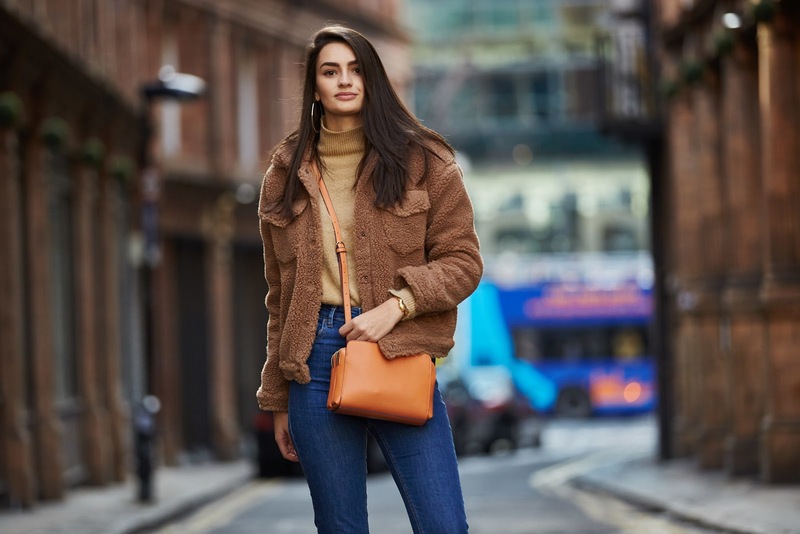 I wore a mustard coloured jumper, added a pop of colour with my crossbody bag - which is currently my favourite style of handbag - mom jeans, because how would I be true to myself if I didn't wear ASOS Farleigh jeans? And finally, those leopard print boots I have pretty much gone on about for the best part of the winter months - Topshop did good. Such a great look and adore the coat too! Love this outfit :-) It's such a versatile look, that you could wear for pretty much anything I'd imagine. I'm looking forward to reading your roundup thoughts of LFW. It's something I've always wanted to go to, but I feel like I can already imagine why it just didn't cut it for you. 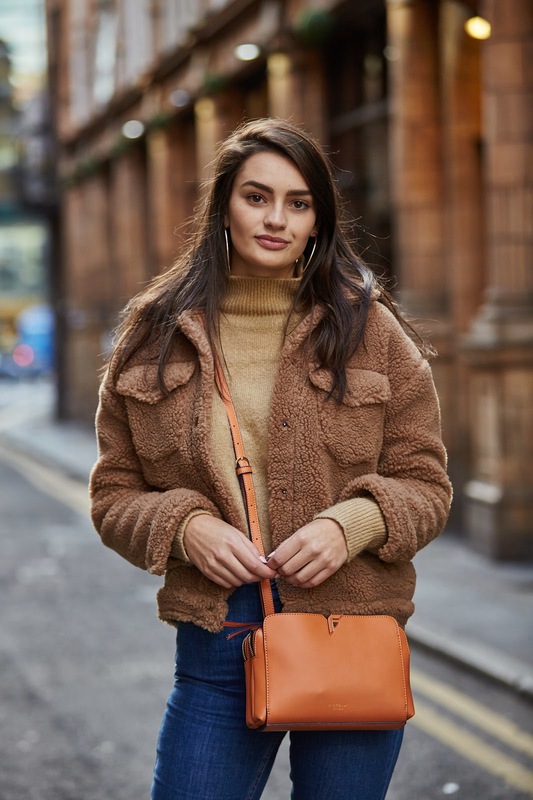 Teddy Bear coat and mustard knit you can't go wrong! Love that coat!